Then Jesus came from Galilee to John, at the Jordan, to be baptised by him. 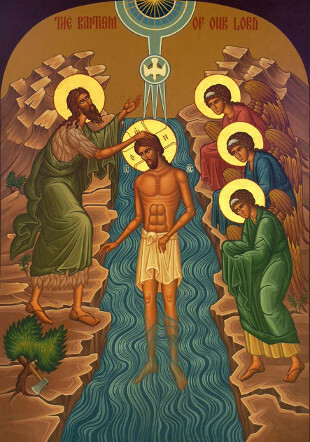 And John was for hindering Him, and said, "It is I who ought to be baptised by Thee, and dost thou come to me?" But Jesus answered, and said to him, "Let it be so now, for so it becomes us to fulfil all justice."